Using computer measuring taper of potentiometer, and making taper graph. 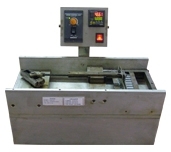 To test potentiometer or metal material's anti-corrosive ability under salt and wet environment. 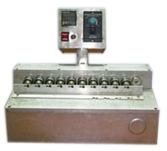 To test all kinds of potentiometer functions are normal after standing for high temperature. To test potentiometer function normally under high/low temperature and humidity cycling environment. To test rotary potentiometer's life cycle, see if all kinds of functions are normal within life cycle. To test slide potentiometer's life cycle, see if all kinds of functions are normal within life cycle.